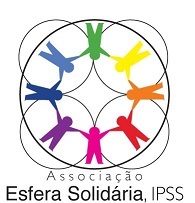 ﻿ Solidarity Sphere Association, I.P.S.S. Your browser is not supported. Please use chrome, firefox, edge, or a more up-to-date version of your browser. to turn something bad into good, and it is through imagination that they can play with something that, at first sight, may seem to have no potential for fun." It is with great pleasure that we open the new Solidarity Sphere Association web space. We want it to become a privileged vehicle for exchange and communication at the service of the whole community. We have created this Website with the intention of making it an active bridge for communication, sharing and exchange of experiences, which will allow you to better understand the dynamics of our Project. Our commitment is to keep you informed about our social actions, using newsletters, videos, photos, stories and workshops. You can contact us at any time to obtain more information about our project and initiatives through info@solidaritysphere.org. We hope that you like it. It will be a great pleasure to work for you! 5º Encontro "Práticas para a Inclusão"
Promovido pela Divisão de Educação da Câmara Municipal de Sintra, decorreu a 18 de Outubro o 5º Encontro de "Práticas para a Inclusão", na Escola Secundária Padre Alberto Neto, em Queluz. Já pode consultar na área de Portfolio o projecto educativo de Vale Mourão e da Ribeiro de Carvalho, Chuva de Cores 2013. O que são as AEC ? 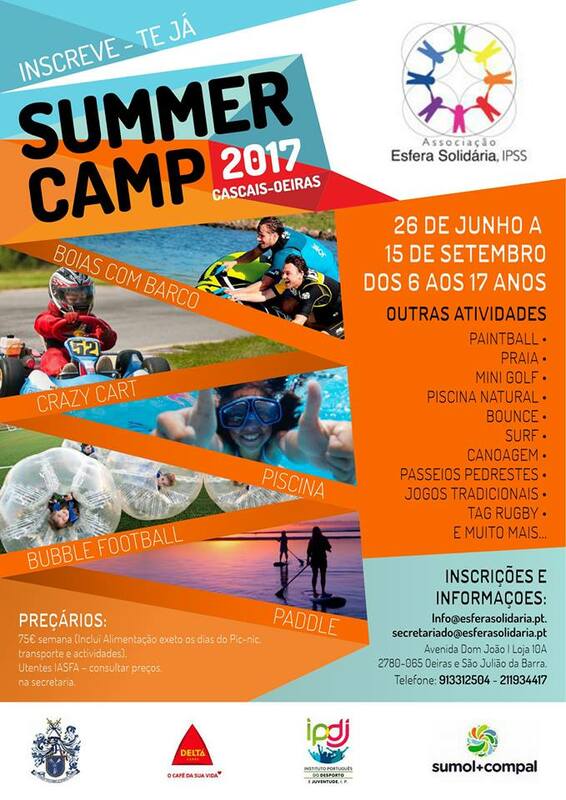 Solidarity Sphere Association is the combination of experiences and practices that for more than 10 years its founding partners Rui Guimarães and Patrícia Altamar have experienced in the development of their professional and social voluntary service, both in state institutions and private non-profit institutions. The many situations that they found, participated and solved, encouraged them to create a Solidarity-Social Association that fit into their humanistic concept of service to others, without giving up the exercise of their professional activity. 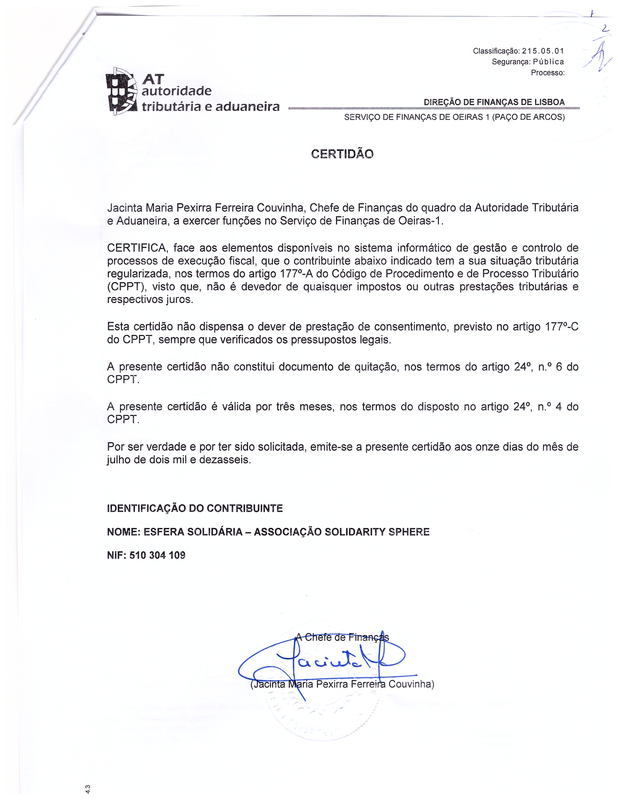 So that after a phase of investigation and research for the social services options available in the Portuguese context adaptable to our concept, we decided to frame our Solidarity Association as an IPSS, because we identify with the characteristics present in this type of institutions that develop their activity under constitutional precepts (DL 119/83 of 25.02, IPSS Legal Status). 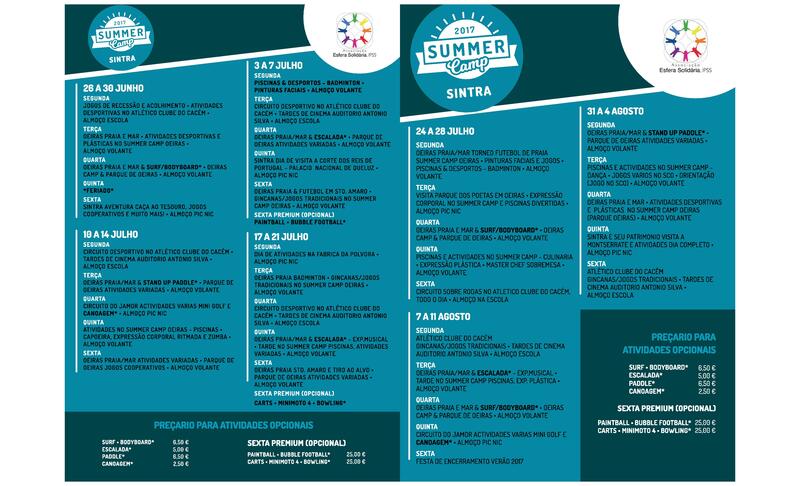 So on June 6, 2012, we decided to give substance to our idea of ​​organizing and implementing the social services to be offered by our initiative and we created this Private Association of Social Solidarity that we decided to call "Solidarity Sphere" and that to date provided every day the opportunity to learn working and sharing a collective service action. Association: Solidarity Sphere is a Private Institution of Social Solidarity. Objectives: Children and young people support, Family, Social and Community Integration, protection of citizens in old age. Head Office: Av. D. João I, Loja 10 - 2780-065 Oeiras. Collective Person: 510 304 109. Social Security: 2510 3041 097. Finanças: CAE 88990, Actividades de Apoio Social. 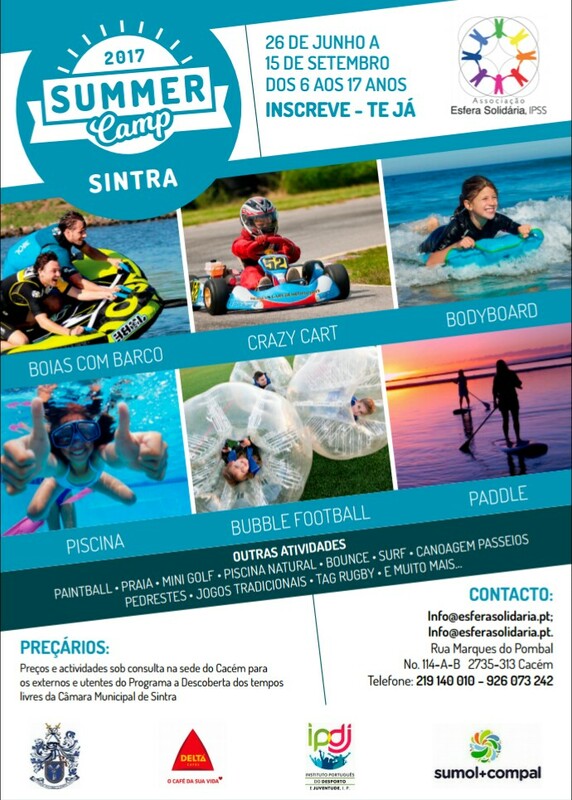 Contabilidade: Empresa AB Cont, sediada na Av. Ultramar, 15, 1º E/F 2750-506 Cascais. TOC: N.º 8189 - Ana Bettencourt. You can now check online the Price List for our CAF services.